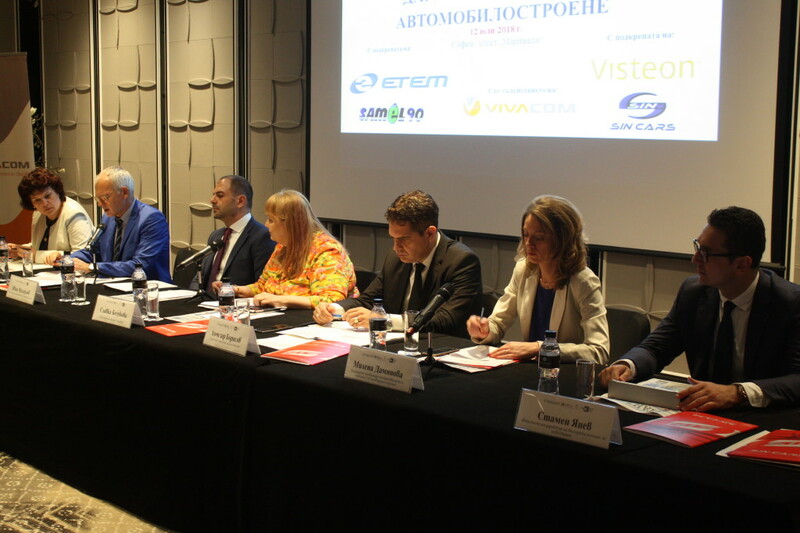 Automotive Cluster Bulgaria and Standart newspaper have organized in partnership with the Bulgarian Industrial Capital Association the discussion “Yes! To Bulgaria’s Automotive Manufacturing”. In 3-4 years the industry is expected to need 45 000 more employees. On July 12 in Sofia the discussion “Yes! To Bulgaria’s Automobile Manufacturing” was held. The event was organised by Standart newspaper in partnership with Automotive Cluster Bulgaria (ACB) and Bulgarian Industrial Capital Association (BICA). Auto industry is expected to double its employees in 3-4 years. This was announced by arch. Lyubomir Stanislavov, CEO of Automotive Cluster Bulgaria. In 2012, when ACB was established, the companies in the automotive sector were 30, now they are 170. The number of employees has increased from 9000 to 47 000. Six years ago, the sector contributed to no more than 1 per cent of GDP, and now its share is more than 5 per cent. Companies managed to achieve a total turnover of 2.5 billion euro. Automotive Cluster Bulgaria is in active co-operation with the Ministry of economy and both have already started working on creating huge industrial zones in Burgas, Sofia and Vidin. According to Stanislavov investors need significant encouragement, outside the usual things offered to them. Similar to the practice in other EU countries, the incentives should be offered by the Bulgarian Investment Agency. A guest of the discussion was the deputy prime minister Valeri Simeonov, who declared the government`s active support for the automotive industry in Bulgaria. Ivan Mihailov, Board chairman and president of ACB added that the automotive sector is already ahead of the IT industry in Bulgaria. “If call centers provide living, the companies of the ACB are creators of intellectual property for the state”, Mihailov pointed out. “Bulgaria is an industrial state. According to Eurostat data, the share of industry in GDP is more than 5 per cent on top of the average for EU countries. In Bulgaria this share is 24.4%, and the mid-level for the EU is 19.4%”, said Vassil Velev, chairman of the Bulgarian Industrial Capital Association. “Besides being an industrial state, we are also export-oriented. Last year, the country’s export reached 92 billion leva. 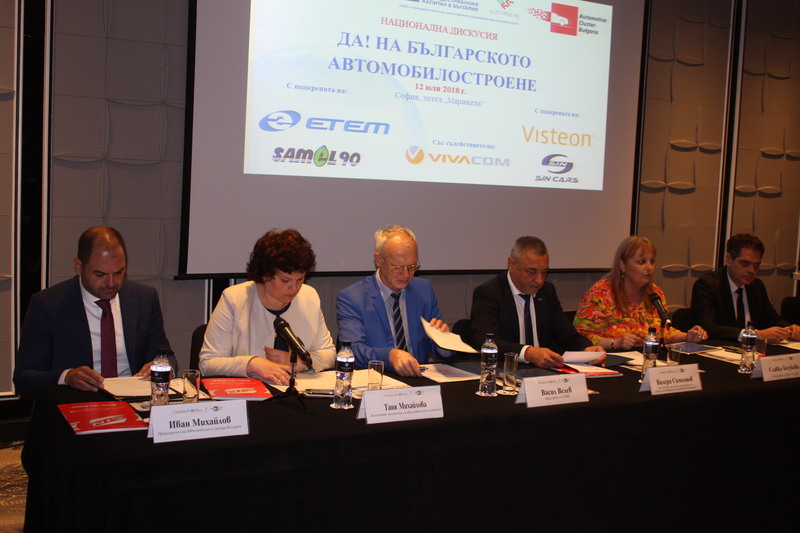 The mechatronics was a main contributing factor for export with its share of 24 per cent or 13 billion leva”, said Velev and further explained that “mechatronics is the sector that fills the country’s budget, while the auto industry is the engine of this sector. 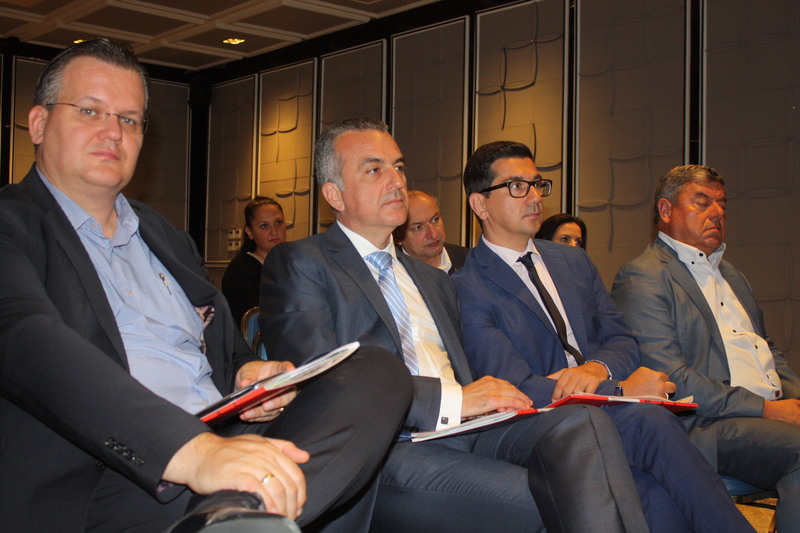 Investors must take advantage of the educational incentives offered by Bulgarian Investment Agency. This is not a popular but an important mechanism, said deputy economy minister Lachezar Borisov. In response to businesses’ demand for large industrial zones, he said the state would guarantee such investments for Stara Zagora. Burgas was also in the planning, as it will attract investment of the highest class for the manufacture of cars. Bulgarian Investment Agency chief Stamen Yanev also invited businesses to a special meeting where they could discuss all problems.